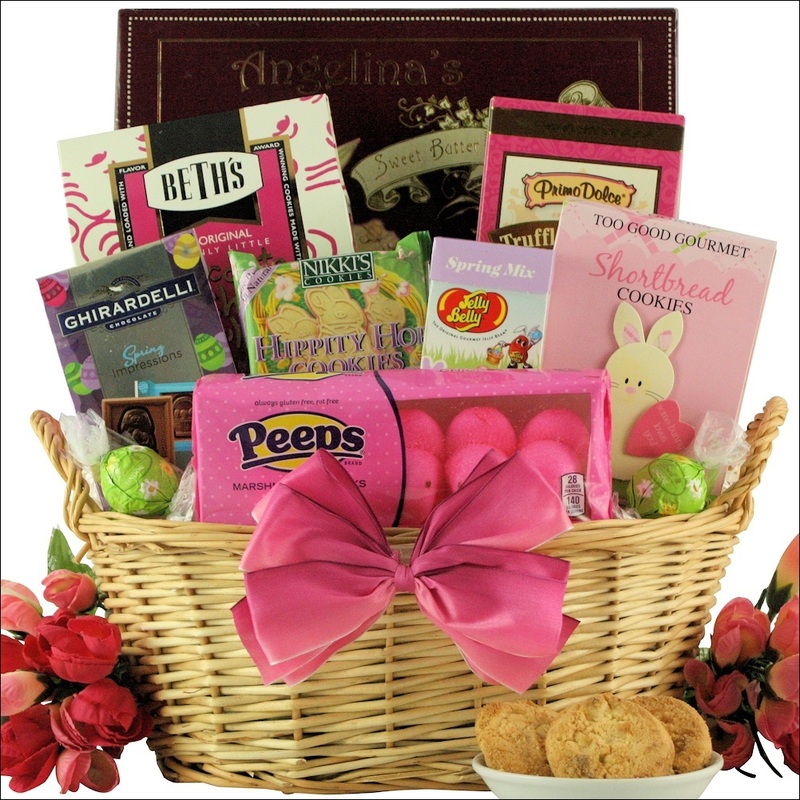 Our "Delightful Easter Sweets" Gourmet Chocolate & Sweets Gift Basket is the perfect way to send springtime wishes to your friends and family this Easter Holiday. This basket includes a Ghirardelli Milk Chocolate Impression Gift Bag, Peeps Marshmallow Chicks, Lindt Spring Milk Chocolate with White Chocolate Truffles, Nikki's Hippity Hop Cookies, Angelina’s Sweet Butter Cookies and more. A great way to let them know you are thinking about them. ... in an Oval Willow Gift Basket with Handles. © 2011-2016 Best Spa Gift Baskets.